There are a number of population groups with a traditionally itinerant (travelling) lifestyle in Europe, also variously known as "travellers", or "gypsies". 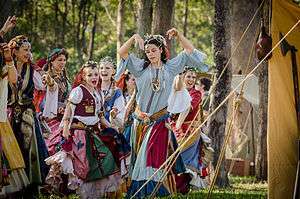 The oldest and most widely dispersed of these groups are the Romani people, ultimately of Indian origin, who entered Europe in the 14th to 15th century. There are various other traditionally itinerant groups in Europe who took up this lifestyle out of necessity at some point during the Early Modern period. Unlike the Romani, these are not separate ethnic groups but have formed as separate classes within the sedentary majority; they do not have an entirely separate language, but they developed specialized jargon (known as cant or argot). As opposed to nomads who travel with and subsist on herds of livestock, itinerant groups of this type subsist on trade with the sedentary populations among which they move. Sinti Romanies in the Rhineland, 1935. By far the best known of these communities are the Romani people (also Romany, Romanies, Rromani, and variants). This is a community of ultimately Indo-Aryan origin, and first entered Europe via the Middle East during the 14th century, expanding through Europe further during the 15th and 16th centuries; separating into various subgroups in the process. In German-speaking Europe, France and Wallonia, there are the Jenische or Yeniche (in German and French spelling, respectively). An early description of this group was published by Johann Ulrich Schöll in 1793. In Norway there is a small group of people who call themselves Reisende; i.e. indigenous Norwegian Travellers. Confusingly, this term is also used by the so-called Tater people (the biggest population of Romani people in Norway and Sweden). Unlike the Tater people, however, the indigenous Norwegian Travellers are non-Roma by culture and origins, and they do not speak any form of Romani language. In the Highlands of Scotland there resides an ethnic group indigenous Highland Travellers also known as ceardannan (Scottish Gaelic the craftsmen, or 'Black Tinkers'), or poetically as the "Summer Walkers". The community is also referred to in English as tinkers; this term became a pejorative among the settled community in Scotland as Travellers emerged as a more neutral name. The English term 'Travelling People' has been adopted into contemporary Gaelic as luchd siubhail (people of travel) but this is a wider term covering other groups of itinerant communities within Scotland. They are indigenous to Scottish society and are not a branch of the Romani people (opposed to Lowland Scottish Travellers/Gypsies who are). Highland Travellers have their own now nearly extinct creole based on Scottish Gaelic called Beurla Reagaird (or English Backwards). Highland Travellers are closely tied to their native Highlands and follow a nomadic or settled lifestyle; passing from village to village and are more strongly identified with the native Gaelic speaking population. As an indigenous group Highland Travellers have played an essential role in the preservation of traditional Gaelic culture. Travellers' outstanding contribution to Highland life has been as custodians of an ancient and vital Gaelic singing, storytelling and folklore tradition of great importance. It is estimated that only 2,000 Scottish Highland Travellers continue to lead their traditional lifestyle on the roads. An ethnic nomadic people of Irish origin, who maintain a separate language and set of traditions. They live predominantly in Ireland, the United Kingdom and the United States. 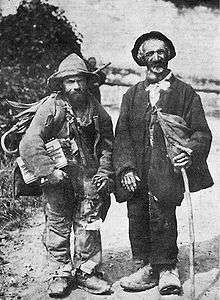 Travellers refer to themselves as Minceir or Pavees in their own language or in Irish as an Lucht Siúil, meaning literally "the walking people". The term Pikey is a pejorative slang term used mainly in the United Kingdom to refer to Irish Travellers. The language of the Irish Travellers, Shelta, is mainly based on an Irish Gaelic lexicon and an English grammar. There are two dialects of this language: Gammon (or Gamin) and Cant. It has been dated back to the eighteenth century but may be older. 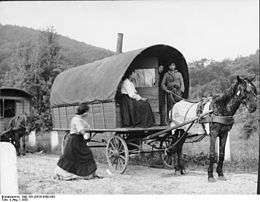 The vast majority of Irish Travellers are Roman Catholics who maintain their traditions and culture in a close knit community of families. The quinqui or mercheros of Spain are a minority group, formerly nomadic, who share a lot of the way of life of Spanish Roma. There are a few theories about their origin: they may be peasants who lost their land in the 16th century, descendants of Muslims who took to nomadism to avoid persecution, or marginalised people who have mixed with Roma. Most likely they are a mixture of all of the above. In spite of sharing persecution and mores with the Roma, the quinqui have often set themselves apart from them. Finally, there are the Occupational Travellers - Travelling Showpeople/Show Travellers (known in France as Forains Industriel), Circus and Bargees. These groups formed around particular crafts and professions that required frequent mobility. Groups such as Travelling Showpeople usually follow a set pattern of nomadism year after year. Membership of these groups have, over the years been drawn from other communities (including, in the case of travelling funfairs and circuses, Romani people). As a result Occupational Travellers are not defined as an ethnic group, even though they display certain common features; they tend to be insular favouring intermarriage resulting in long lineages and a strong sense of cultural homogeneity (The Showman's Guild of Great Britain and Ireland requires that applicants for membership have a parent from the Show Traveller community). Further examples include the use of Parlyaree/Polari among Fairground Travellers in the UK and the development of unique jargons, customs and traditions  Linguistically, many Occupational Travellers in the fairground and circus worlds have cultural affinities with Romani groups, such as significant traces of the Romani language and matriarchial forms of social organisation. ↑ Origins of the Summer Walkers. ↑ Travelling People — Highland Travellers. ↑ Ethnicity and the American cemetery by Richard E. Meyer. 1993. "... though many of them crossed the Atlantic in centuries past to play their trade".